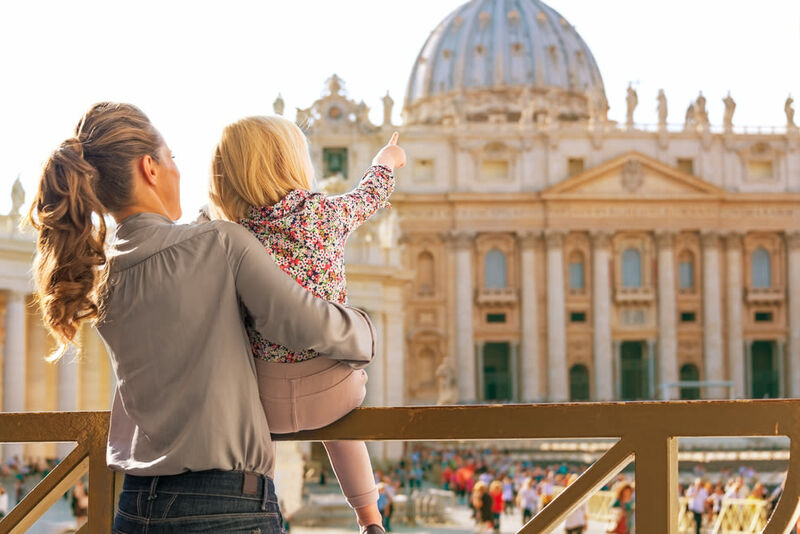 The Eternal City can also be one of the most family-friendly European destinations, if you know where to go. Little ones are welcome in Vatican City. It is said that “all roads lead to Rome”, and that’s especially true for families like mine who not only love pasta but love to travel. If you’ve ever wanted to go or even if you’ve already been, come along with us as we take you to some sights that many tourists miss. 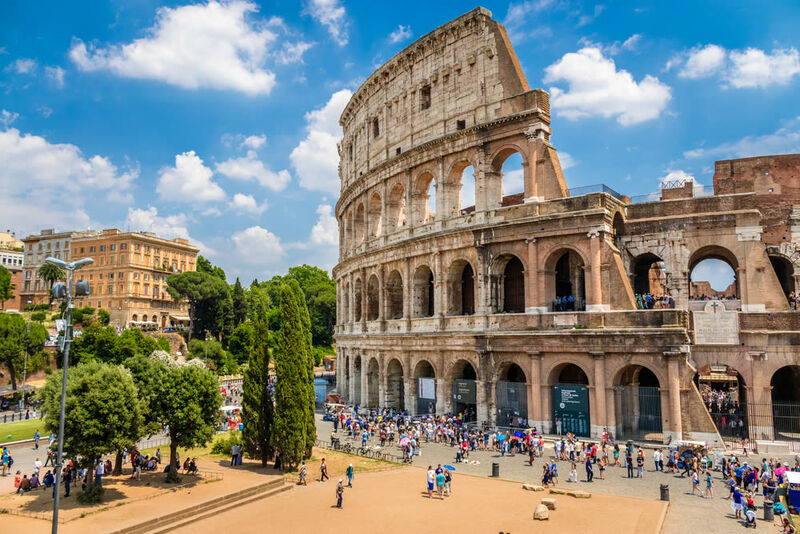 After all, the Eternal City is forever a metropolitan city with nearly 3,000 years of captivating art, architecture, cuisine and, of course, history. Did you know that some very important Christian relics that are believed to have actually touched Jesus during His crucifixion still exist today and that those relics are on display in Rome? But you won't find them in The Vatican—instead, they're in a small church owned by the Catholic Archdiocese. Thankfully, we had a very knowledgeable tour guide, Carlo Papini Giuriati, owner of Rome Guide Services, who took us around the city showing us all the major sights from an air-conditioned Mercedes Benz van, very high class. We felt like VIPs as our driver dropped us off at the front door of many sights and Carlo whisked us into the buildings before the crowds even arrived. Our flights onboard Lufthansa Airlines had no TV monitors, but it was the most convenient, cost-effective way to get from London to Rome by way of Frankfurt, Germany. So make sure the kids have plenty of games and movies downloaded onto their electronics to keep them entertained. While visiting European churches, cover your knees and shoulders. Many will not let you enter otherwise no matter how hot it is outside. Some cathedrals will have paper vests you can buy to cover your shoulders but it's better to take your own scarf or wrap. My 8-year-old was able to get away with a shorter skirt and no sleeves but we didn't chance it with my 13-year-old daughter. However, my husband was able to get in wearing long shorts that ended just above the knee. Wear comfortable walking shoes because the old, sometimes uneven cobblestone streets are hard on the feet. Even my comfy open-toed sandals let me down after a few hours of walking and a couple of stubbed toes. Fill up your water bottle from one of the many drinking fountains throughout the city. 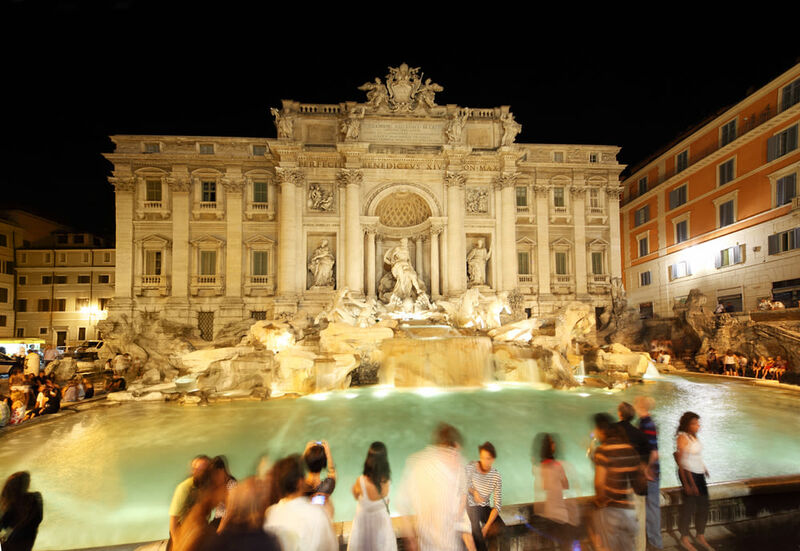 Rome's water comes from natural underground springs that are cool and refreshing. Buy a couple of water bottles then keep refilling them to keep your costs down. Rome is very hot in the summer! 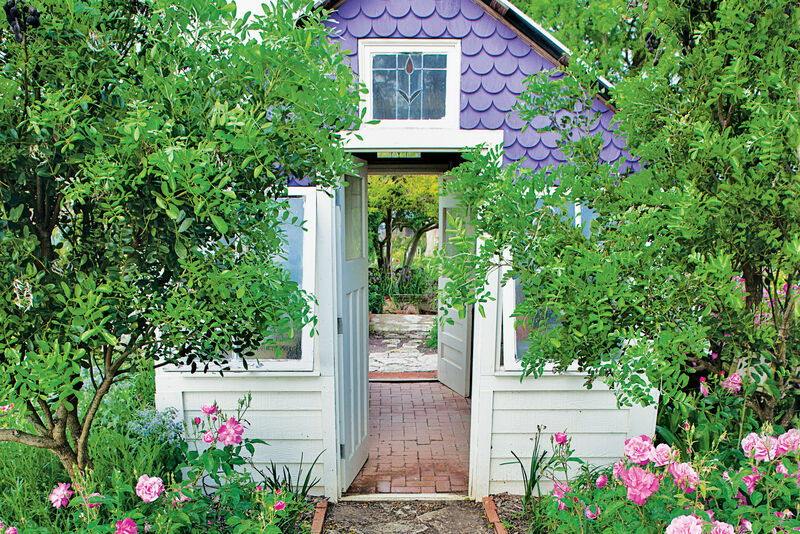 July and August are some of the most sweltering months to visit. So if that's the only time you can go, like us, schedule your days accordingly. We got out early each morning, ate lunch by 11 a.m. then went back inside for an afternoon nap. My kids never take naps at home but all the walking around in the heat made us all tired. We got back out when it cooled down, usually after 5 p.m. Also take anything that'll help keep everyone cool including hats, misting bottles and hand fans. If you can visit during more comfortable temperatures, our guides told us the months of March, April and November are best weather-wise. Those months are also a lot less crowded so that, “when in Rome” you’ll actually be able to roam. As a family, we usually take the standard bus tours; we aren't typically VIP types. But when we couldn't find one with very many positive reviews, we opted for a private tour and I'm very thankful we did. 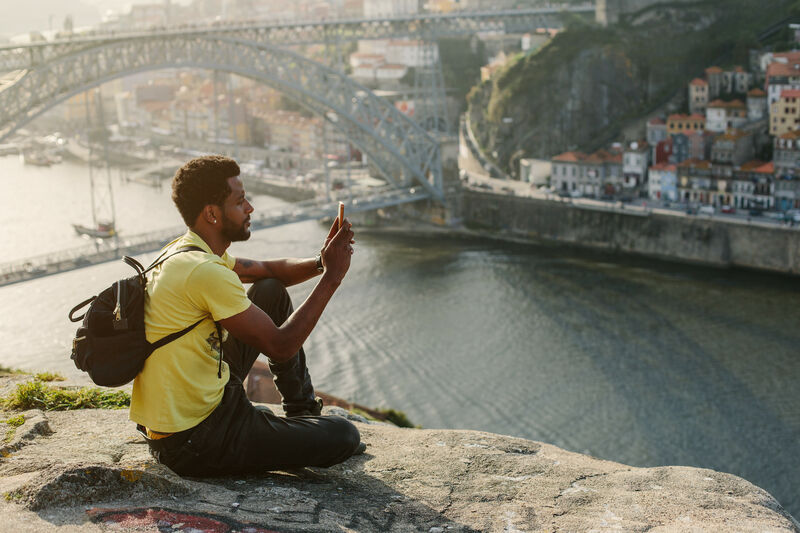 It was a bit more expensive, but Carlo geared his tour to our interests, which meant showing us things most tourists don’t even know about—including those religious artifacts from the crucifixion of Jesus. Carlo took us to The Basilica of Holy Cross In Jerusalem, consecrated around 325 AD, where they have an official copy of the controversial Shroud of Turin. The original shroud is not often on display in the northern Italian city of Turin, so seeing even a copy is a real opportunity. I was amazed at the detail as described to us by Carlo—spots where some believe the blood dripped down Jesus' forehead from the Crown of Thorns, the supposed outline of His eyes and nose, even blood stains from the whips and the wound in His side, and the outline of His arms, legs and feet. The Holy Cross Church also has other relics of disputed authenticity, including a piece of the cross that Jesus was crucified on, a nail from the crucifixion, and thorns from the "Crown of Thorns" that the Roman soldiers placed on Jesus' head. Also on display is The Titulus, or the sign that was hung over Jesus' head stating the charges Pontius Pilate brought against him. Here you'll also find a final, famously gruesome relic, the finger of Saint Thomas—a bone from the index finger of Doubting Thomas himself. If we would have taken the usual hot, sweaty, crowded bus tour we still wouldn't know that these relics are on display for all to see. It's like they say: You get what you pay for, and what we got was priceless to our family. Of course, you can't brag about going to Rome if you don't go to the cavernous Colosseum. The massive structure dominates the city's skyline and has just had a full "facelift," which took workers about four years, so it's looking as young as a building built in 70 AD can look. We took the advice of a friend and got there 30 minutes before the gates opened, hoping to get there early to avoid long lines and the hot afternoon sun. It was a good thing we got there early because the lines got long very fast. Once inside, the tour begins at the highest level available to the public (which is about one level from the very top). 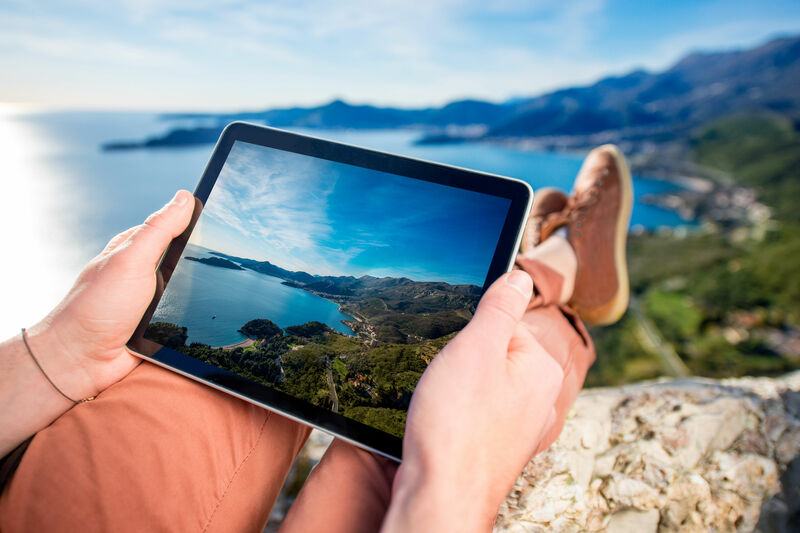 The view is spectacular and it’s best to have a selfie stick if you want a good picture of your group with a wide-angle shot of the spectacular interior. We encountered quite a few tour groups but the audio guide we rented did a pretty good job of giving us the basic details about the colosseum from when and why it was built, to the history of its sometimes gory past, to its downfall. The tour took us about 90 minutes with a bathroom break and a not-so-quick trip through the bookstore. By that time, the temperatures were so hot I was afraid my little one was about launch into a meltdown, so we quickly headed out of the crowds, down the street, and to a nearby restaurant for an early lunch break to cool everyone down. If you're heading to the Colosseum, get there early. Pope Francis is arguably one of the most popular popes in recent history. The crowds at the Vatican during one of his services can be so large that they not only fill the gigantic plaza in front of Saint Peter's Basilica, but also spill into the streets all around. So I knew if we were going have a chance to view Vatican City we were going to have to book a tour. However, as amazing as the Vatican can be for adults, I knew we might need some help keeping the kids entertained. So I found an online tour company that specializes in family tours. We met our guide, Inger, before the doors even opened. Being part of a tour with a licensed guide allows you to get in the doors an hour before the general public. That proved to be a wonderful advantage, especially inside the Sistine Chapel. Although you're not allowed to take any pictures or even talk while inside this infamous chapel, its ceiling, meticulously painted by Michelangelo, is breathtaking. No picture or words could do it justice; seeing it in person is really the only way to appreciate a work of art this magnificent. Since no one is allowed to talk inside the Sistine Chapel, our guide was wise enough to have brought an official Vatican Guide Book with sanctioned pictures of Michelangelo's artwork so she could give us details of each panel before we went inside. I found that this helped us appreciate the art we were viewing way more than if we had just walked in there on our own. The same was true for the rest of our tour too. There are so many things to see at The Vatican from the Hall of Tapestries to the Hall of Maps, rooms and rooms of sculptures, countless mosaics, courtyards, artifacts, relics, elaborate gifts given to the various Popes—it's simply overwhelming. Thankfully our guide helped us navigate our way through it all, showing us the highlights so the kids wouldn't get too overwhelmed. With the route the tours have to go we ended up going through the Sistine Chapel two times, and what a difference an hour can make. During our "Early Bird" tour we were able to freely move around the chapel, viewing Michelangelo's masterpiece at our leisure and from all angles. However, when we passed back through after the crowds arrived, it was a completely different atmosphere. The center of the chapel was packed with absolutely no room to move around. People had to file in and hope for a good spot on the floor to stand, then maneuver their way to a very narrow lane just to exit. It was so crowded that we didn't bother to stick around a second time. Our tour ended with a trip into the spectacular Saint Peter's Basilica. It's not only where the Pope holds his masses but it also houses Michelangelo's famous Pieta, in which Mary is cradling the body of her crucified son, Jesus. It's the only sculpture the famous artist ever signed. Saint Peter's is also the final resting place of the beloved Pope Saint John Paul II. Our tour of The Vatican took about four hours and although we were grateful to be there, we were also exhausted. The tour by Rome4Kids helped, but my girls became very disinterested after the first two to three hours. So give yourselves time to take a break and grab a snack in one of the cafes you’ll find along the tour. Also, pack your patience because the crowds can be a bit frustrating. I was pushed out of the way once and had several cameras held over my head by some over-exuberant visitors. Even at night, the Trevi Fountain stays packed. The fountain that Audrey Hepburn made famous in Roman Holiday remains one of the busiest sites in Rome. Many advise going early in the morning or late at night to fully appreciate the view sans crowds. We decided to go late, after dinner, because many restaurants don't even open for supper until 7:30. And since the Spanish Steps and the Trevi Fountain are only a 10-minute walk from one another we decided to see them both on the same night. We were surprised and disappointed to find the steps closed for restoration (though work should be completed by December 2016), so we strolled down narrow cobblestone streets to the beautifully baroque Trevi Fountain. At first, we thought we were lost until we heard the roar of the crowds. Even though it was 10 o’clock at night, the plaza was packed. We had to wait to squeeze our way to the upper railing to take pictures, then wait again to take our turn throwing a coin into the fountain. The legend goes that if you throw a coin into the Trevi Fountain, you'll get to someday return to Rome. It worked for me, although it took me a few decades. But make sure you toss your coin in the right way: Sit with your back to the fountain, hold the coin in your right hand and toss it over your left shoulder as seen in the 1954’s movie Three Coins in the Fountain. This amazing feat of architecture built around 118-128 AD is still the world’s largest unreinforced concrete dome. It’s also one of the best preserved buildings from Ancient Rome. Now used as a church, it is spectacular, a definite must-see and best of all, it’s free. The catacombs are a great way to beat the heat for an afternoon. These are underground burial tunnels created by early Christians on the outskirts of the Roman walls. It might sound a bit gruesome but it was fascinating for our little ones because the underground chambers contain early Christian art in the form of frescos and sculptures. 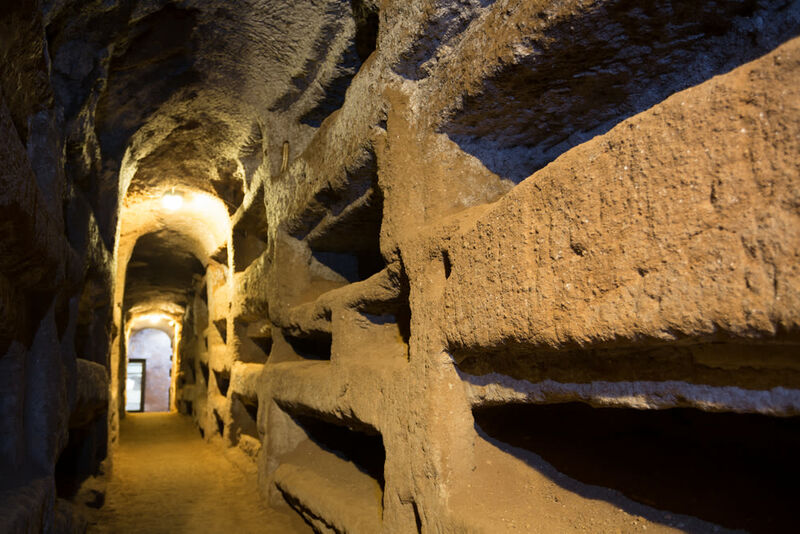 The Catacombs are a bit out-of-the-way, however, and you cannot enter without a licensed tour guide, otherwise you'd surely get lost amongst the twists and turns of the tunnels and tombs. Carlo told us intriguing stories of family burial rooms and decoded tribunal pictures drawn on the ancient walls. It was also a good break from the heat, as the temperature in the tunnels is a bit chilly even in the summer. Another great way to beat the summer heat and get a history lesson in at the same time is to buy a ticket to one of the nighttime illumination shows. There are two, The Forum of Augustus and The Forum of Caesar. We choose the latter because it's a walking tour where you get to wonder around the ancient Imperial Ruins that took more than 1,500 workers to excavate. The ancient columns and buildings are restored right before your eyes as pictures are projected onto the relics showing you what they looked like when Julius Caesar ruled the Roman Empire back in 44 BC. A great show but it was a little over our 8-year-old's head; I recommend it for ages 10 and older. 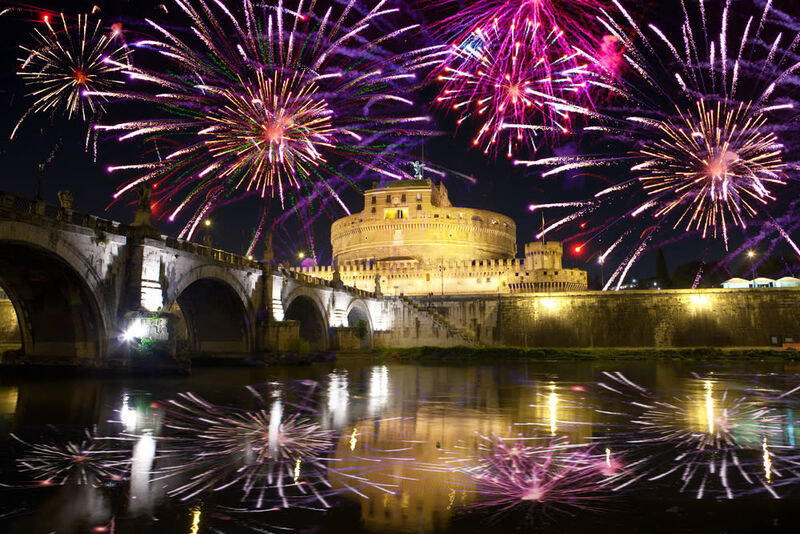 If you're lucky, you'll catch a fireworks show over the Castel Sant’Angelo. This circular castle looks like something you'd see in a black-and-white movie. Built in the 2nd Century, the Castel Sant'Angelo provided our family with a great adventure spent roaming the inside of the castle walls and imagining what it was like to live there 1,800 years ago. We wandered through the royal residence and saw sitting rooms, the treasury with its huge money chests, the castle church, and even an armory room complete with swords and cannons. Once the tallest building in Rome, a climb to the top of the castle walls gave us some of the best views of the city. In fact, we were told that this view was even better than the one at the top of Saint Peter's Basilica—and the climb was easier, too. If you go, get there early before the line starts to stretch outside the castle doors. This tour will take you about an hour or so and is easily done without a tour guide. To get out of the heat during the day, we tried to find some indoor activities for the kids. We were told about the Children's Museum and thought it would be a great place to let the children play while we all enjoyed the air conditioning. 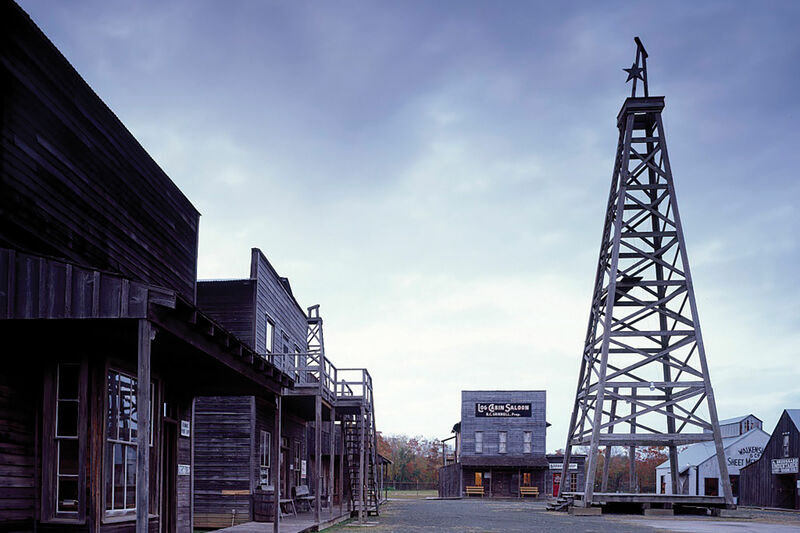 However, it's not near any of the tourist destinations and takes a bit of a cab ride to get to. We got there at about 10:45 a.m. not knowing they closed at noon for a mid-day break—as do many shops and tourist sites, which often close for two hours in the middle of the day. But since we had traveled all the way there, we went ahead and bought tickets knowing we only had a little more than an hour to play. It turned out that that was plenty of time. Although the museum had a couple of exhibits that captured the kids' attention—such as a pebble station where the children could turn wheels and conveyor belts to learn how to move objects from one place to another—most of the other exhibits were for much younger children, and the kid's health stations upstairs either didn't work or didn't have good enough instructions in English so that we could figure them out. It was not worth our time, but might be okay if your children are under the age of 6.